The stats might not show it, but the Mets feel like Tebow has shown improvement in the minors. PORT ST. LUCIE, Fla. — Tim Tebow is ready for the next step in his baseball career, but still realizes he’s a long way from the big leagues. In fact, even as he ascends from low Class A to the New York Mets’ highest A-ball affiliate, he won’t allow himself to think or dream that far ahead. “It’s not something I focus on. 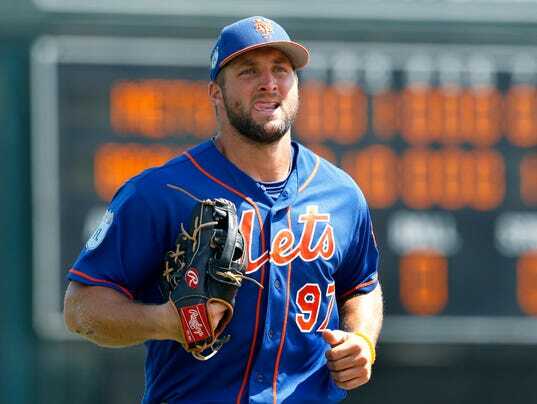 It’s not something I think about,” Tebow said Tuesday afternoon, hours before he would debut with the Port St. Lucie Mets in a Florida State League game against the Palm Beach Cardinals.